The passenger rail industry in North America is in need of substantial innovation investments and technological development. America ranks seventeenth in miles of service provided each year; barely above Iran and well below emerging markets like China and India and well developed markets like Russia. According to the Organization for Economic Cooperation and Development, the U.S. must invest $230 billion more than its current anticipated budget between 2015 and 2030 to restore the country’s passenger rail infrastructure to a level of global competitiveness. Rail’s share of U.S. federal transportation funding is a mere 1.02%. That is nearly one fifth of the industry’s proportional share of federal funding during the 1970’s. This is largely due to America’s preference of automobiles as a method of travel. However, as millennials grow into positions of power and an increasing number of people migrate to urban settings, that national preference may change. There is no doubt that millennials express disproportionate mass transit-friendly attitudes as cited by U.S. news, the Atlantic and a number of other media outlets. What’s more is that the recent string of accidents on commuter rails have prompted widespread media and government attention. Innovative technologies like positive train control (PTC) have the potential to significantly curb these occurrences. Satellite navigation, hybrid power trains, proximity sensors, and even trains that can transfer passengers while moving are just a few examples of the latest technological progress within the industry. The American passenger rail infrastructure is in need of major innovation in order to keep the country on par with our global peers. Unlike Japan, China and other developed countries, the United States has not adopted high-speed bullet trains or high powered “magnetic levitation” trains. Japan’s high-speed bullet train network, for example, operates at speeds between 150 and 200 miles per hour, covers nearly 1,500 miles, has no grade-level road crossings, and uses overpasses and tunnels to go over or under rather than around geographic obstacles. The average delay time in 2012 for that service was an impressive thirty-six seconds. Since it began operations in 1964, there have been no fatal collisions or derailments. It is equipped with earth-quake detectors and anti-derailment devices that automatically bring the train to a stop when necessary. Instead of single engine propulsion, all of the trains axles are electronically powered which allows for greater acceleration. China’s Shanghai Transrapid service is one of two “magnetic levitation” train systems in the world. The passenger train provides service between downtown Shanghai and the Pudong Airport at speeds of up to 268 miles per hour. France provides a high-speed service to passengers that can reach over 200 miles per hour while serving most of the country with its 1,300 miles of operational track. Turkey, Russia, and Iran also have competing high-speed systems. The U.S.’s high speed equivalent by contrast can only reach 150 miles per hour for a very short stint of track between Rhode Island and Massachusetts. Our very common, grade-level road crossings cause significant delays, accidents, and economic congestion. 2013 data reveals that an Amtrak train hit a car or person at a grade-level crossing an average of 2.2 times a week. In response to these and similar accidents, the federal government enacted legislation that mandates technological implantation of positive train control (PTC) technology. Positive train control (PTC) is a GPS-based technology designed to prevent head-to-head train collisions, derailments caused by excessive speed, unauthorized entry into work zones, and train incursions onto the wrong tracks. In the event of human error, PTC will take over the train in order to avoid accidents or at a bare minimum alert the engineer of the oncoming risk. In 2008, Congress passed the Rail Safety Improvement Act. By doing so, the government mandated that the country’s major railroads fund, build, and implement a safer PTC system by the end of 2015. The law also called for Union Pacific to refit an average of 2.5 locomotives and 10 miles of track per day for seven years, placing GPS devices on every locomotive. PTC communicates with the train’s onboard computer, allowing it to audibly warn the engineer and determine a safe braking distance based on the train’s speed, length, width, weight, and the grade and curvature of the track. If the engineer does not respond to the ample audible warning and screen display, the onboard computer will activate the brakes and safely stop the train. The PTC system not only increases safety, it also increases fuel efficiency as well. By storing precise geographical data marks and calculating the optimal routes of several trains in relation to each other, the system allows operators to avoid speeding up and slowing down arbitrarily. Having the ability to predict stops in advance means conductors can simply cruise through at an optimal speed so that they pass through certain stop-and-go points. This allows them to save fuel that would otherwise be wasted on accelerating from a standstill. However, some railroads see PTC as a burdensome, backward-looking, approach to a problem that could have an even more efficient solution. At a cost of $13 billion or more, the technology requires railroads to install tens of thousands of sensors along tracks to collect data about a locomotives speed, weight, and length. Meanwhile, passengers aboard trains have hundreds of smartphones that broadcast their location using GPS that is perfectly capable of transmitting the same data. The question many engineers are asking is why the programs are not installed in the train itself, as Google does with map information programmed into self-driving cars. Google cars have the ability to stop when another car is approaching in order to avoid an accident or yield to a pedestrian. If Google can make the technology work almost flawlessly in a 360 degree unpredictable environment, why can’t train engineers use it to avoid collisions on a simple one-track course? Like the freight rail industry, many of the innovations in the commuter rail industry involve energy efficiency. The federal government recently conducted a study on the best practices for improving rail energy efficiency. Summarized below are some of the innovative technologies discussed in that study. Regenerative Braking: used to capture and reuse electricity produced by dynamic braking. Dynamic braking uses the electric train motor to slow the train by running it in reverse. Currently, most trains squander this energy by using inefficient technology that only captures a small percentage of it for re-use. Energy savings can be maximized by innovative designs that increasingly become more efficient in recycling this energy which can be returned to the grid or reused for accelerating or climbing hills. Electronic Multiple Units (EMU’s): self propelled electronic train carts that have no diesel engine locomotive. They are currently used by commuter railroads with electrified rails to power trains. The Metro North operates the technology on three routes in New York, Connecticut, and the Long Island Railroad. New Jersey Transit, also operates EMUs on several electrified routes. The future for hybrid electric locomotives using battery stacks to recover braking energy and store it for on-demand delivery looks bright. Pike’s Research predicted that by 2020, hybrid locomotives will be readily available for the industry, utilizing lead acid or lithium ion large-capacity batteries. This low-cost hybrid technology could reduce emissions by 80 percent over standard locomotives and reduce noise levels and maintenance costs just as much. In addition to innovation in locomotives and rail cars, major industry players spend considerably on innovative track maintenance technologies. Transportation Technology Center Inc. (TTC) in Pueblo, CO is one example and some of their innovations developed in their world class facility are discussed below. The world’s first laser-based rail inspection system is being developed at the TTC. Internal flaws in railroad tracks are largely invisible to the human eye. To find them, innovative railroads employ defect detector cars and HiRail trucks with GPS, induction, and ultrasound technology. This laser technology helps track workers to locate and identify internal rail defects before they cause an accident. Due in large part to technologies such as these, accidents are at an all time low - track-caused accidents per million train-miles have dropped 85 percent since 1980 and 49 percent since 2000. Straight, hard metal railroad tracks are not as simple as they appear. There is innovation even in the production of this seemingly simple technology. Not only must railroad tracks safely support trains weighing over 3,500 tons, but they must do so while maximizing fuel efficiency of trains and must be built to last. Track engineering involves careful 3D geometry analysis of tracks that encompasses everything from the alignment and elevation of track to its curvature and track surface. Today, railroads use sophisticated electronic and optical instruments to inspect all aspects of their production. The latest technology involves on-board computer systems that provide sophisticated analyses of track geometry and predict the response of freight cars to track geometry deviations. This allows railroads to determine when tracks need maintenance all while making money during regular scheduled deliveries. A strong foundation is critical for railroad track layouts. Track ballast is the rock foundation, upon which the railroad track sits. Strong track foundations help transfer the load of the trains to the underlying foundation while facilitating drainage of water and minimizing vegetation that might interfere with track structure. Over time, ballast breakdown can occur and lead to track instability. To measure this, railroads regularly use ground-penetrating radar to measure ballast thickness and identify areas where repairs are needed. With more than 100,000 privately-owned bridges in America’s freight rail system, railroads are continuously seeking ways to monitor bridge health and detect damage in real time. Researchers are developing a new generation of monitoring equipment to be installed on both trains and bridges in order to provide regular feedback on the health of each bridge. Researchers at the Association of American Railroads are conducting research to gain insight into current bridge design, component standards, and maintenance practices to identify new ways to extend the lifespan of rail bridges. Wheel bearings allow the wheels of a rail car to rotate freely along track. The journal box holds the oil to keep wheel bearings operating smoothly. Despite the journal box, bearings get worn overtime can cause enough friction to heat up the journal box and create a “hotbox.” During the early days of railroads, oil soaked wool would be placed in the journal box to detect signs of friction and overheating. When the journal box became overheated, the wool would smoke, alerting brakemen to an issue. Today, engineers use infrared technology and acoustic monitoring devices to detect problems. For example, friction from a faulty wheel bearing sometimes causes a distinct sound. The latest technology is constantly roaming operations to pick up on these clues. Innovative cameras and sensors assist in detecting defects as well. Wheel images captured by lasers show worn wheel treads or flanges, indicating when the wheels on a rail car need to be replaced. Meanwhile, wheel impact load detectors are used to measure vertical wheel loads as rail cars travel across track and alert railroads when a wheel is warped and needs to be repaired or replaced. Like they do in most innovative industries, IBM has its hands in the passenger rail market. In pursuit of a smarter plant, IBM has been developing computer analytical technologies that create efficient systems in a broad array of industries. Railroads have always generated data. Today, with RFID and other technologies, they generate more data than ever before. IBM uses that data to help make railroads safer, faster, cleaner, more efficient, and profitable - more or less, smarter. IBM creates mobile monitoring systems that provide railroads with more intelligence through continuous real-time capture and analysis of critical data. Sensors on cars collect information based on decision modeling and analytics. Automated systems then distribute the information to various departments, dispatching service, ordering parts, scheduling maintenance, and performing remote diagnostics. Eventually, such mobile technologies could reduce the need for fixed infrastructure along the wayside and give railroads the flexibility and responsiveness they need to make quicker and more efficient decisions to optimize crew schedules, add or remove cars, and integrate passenger transport with fewer delays. This technology will help eliminate many of the challenges facing the railroad industry today. The LIRR serves more than 300,000 passengers riding more than 700 miles of track every day. It recently chose IBM Maximo software to manage and maintain approximately 1,180 rail cars, locomotives, and their components. 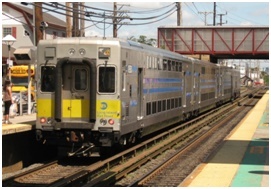 As part of a 2012 project, IBM assisted the LIRR in expanding its asset management systems to include facilities such as Penn Station, bridges, tunnels, linear assets such as rail, and IT assets including PCs, servers, and software. "The efficiency of the Long Island Rail Road is heavily dependent on the proper maintenance and repair of thousands of components, from trains to facilities, tracks, signals and communications" said Vincent Mezzanotte, Chief Information Officer, LIRR. IBM Maximo software helps railroads with preventative maintenance so they can replace components or fix assets before they break—keeping things running smoothly and significantly lowering costs. The LIRR is North America’s busiest commuter rail and over 175 years old. BART, the nation's fifth busiest transportation system, offers travelers an alternative to driving on bridges and highways, easing the traffic and pollution. "Because we are managing an aging fleet while planning for the future, the efficiency of BART requires visibility across all of our assets" said Randall Franklin, Program Director of BART's Business Advancement Program. IBM software will manage the purchasing, inventory, and maintenance systems that support its operations and conduct analysis and schedule maintenance before a part or system fails. It will manage and update the extensive parts inventory and plan jobs to maximize workforce efficiency. With a smarter system, BART can continue its modernization with tightened budgets and fewer resources while maintaining its high standards of service. 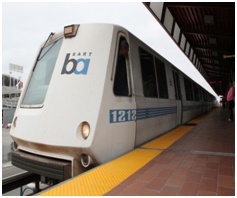 The BART system has been operating for passengers since September 11, 1972. Accidents at U.S. rail crossings have attracted widespread industry and media attention across the Northeast. So much so that Google Maps and the U.S. Federal Railroad Administration have agreed to use the agency’s data along with Google’s technology app to notify drivers about upcoming railroad crossings on Google Maps. The initiative will pinpoint every rail crossing in the country and send visual and audio alerts to the vast array of drivers who use the turn by turn navigation feature. Drivers are increasingly relying on this and similar technology when they drive. Most rail crossing accidents are caused by driver inattention and error. With the new app, a driver who is focusing attention on navigation instead of the road will now have a larger opportunity to become aware of the approaching crossing. The passenger rail industry in North America is in need of substantial investment in innovation and technological development. Looking forward, the industry might get exactly that. R&D tax credits are available to help support and stimulate companies developing rail technology in the U.S.